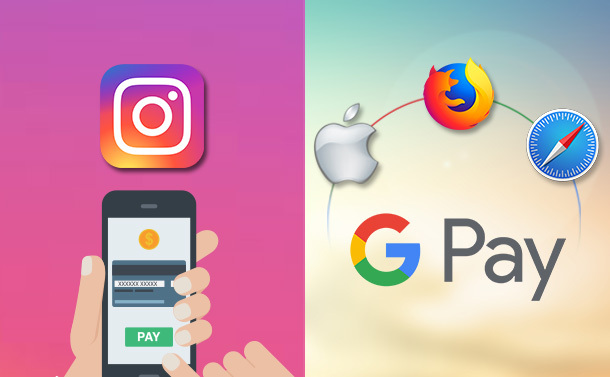 Instagram has introduced a native payment feature in its app for some users for e-commerce purpose. Now, users can store payment information and buy products directly from the app. The feature allows users to add credit or debit card details and pin for additional security. Currently, users can book services from limited number of businesses like spas and restaurant on the platform. DO WE NEED THIS FEATURE IN INSTAGRAM? The latest in-app trial feature is more integrated and consistent and doesn’t redirect users to an external page. Instagram offers a platform for influencer marketing as well and several bloggers use this medium to promote products and businesses. But, when it comes to payment, users are forced to switch to different merchant system. This not only causes inconvenience to users but huge loss to the app as well as influencers. The feature is advantageous because Instagram does not permit users to place links in photo captions. Before presenting this feature in U.S., numerous third-party services, such as LIKEtoKNOWit and Like2Buy introduced this feature to make posts shoppable. WHY DO MOST OF THE APPS ARE ADOPTING IN-APP PAYMENT FEATURE? Recently, WhatsApp announced that they are soon launching an in-app payment feature in its application for easy and secure transaction of money. And now, Instagram is testing this feature on its application. The platform like WhatsApp, Facebook and Instagram are major source of marketing and his assisting business to grow. In fact, several companies exist virtually on social media platform and are earning huge profits. Lack of in-app payment feature in most of this platform causes trust issues. But with the launch of this feature, these might problems might get resolved. Google Pay that was earlier available on Chrome and Android only, is now available on other web browsers i.e. Safari and Firefox along with iOS. WHAT IS GOOGLE PAY AND HOW IT WORKS? in Google account and the saved information can be used in every Google products. From Chrome for web purchases to YouTube for renewing subscriptions and Android for in-app purchases. The service can also be used at retail outlets with NFC payments. Here, Google account users can automatically sync their saved cards for easy and secure payments at online retailers that work with Google Pay. However, some features are restricted to Google chrome like automatically filling in your billing and shipping information. HOW IS IT GOING TO BENEFIT USERS? It allows users to save their credit/debit card to Google Pay on a Pixelbook, making it accessible on the web across devices. With Google Pay, users don’t have to enter details every time they make payment once the information is saved. The most prominent feature that Google Pay offer is the ability of users to update the specifics of the new cards, in case old ones are misplaced or lost. As soon as the customer’s bank issues a new card, Google Pay will automatically obtain the details and they don’t have to manually enter the information again. Whether the card expires or a new card is issued by bank, every detail will be updated automatically on Google Pay. Google is also giving rewards to its users who are using Google Pay app on Android devices. Rewards are offered for making payments and inviting friends via referrals. Google Pay is now accessible in the US, Poland, Russia, Canada, Australia and the UK.